It is said to be 4ft long, 3ft high with a 2ft tail and a black shiny coat, and it has made a hair-raising return to the city. Big cat sightings are nothing new to people across the city these days but the so-called “Beast of Bretton” appears to have set up a new home in the south of Peterborough. 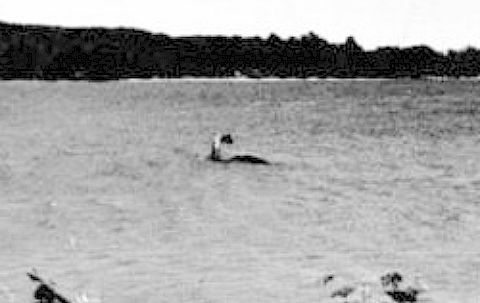 Champ: The Lake Champlain Monster? Lake Champlain forms the border between Vermont and New York, stretching down from Canada at its northernmost point south to Whitehall, New York. It is also, many people believe, home to America’s version of the Loch Ness monster. “Champ,” as the creature is called, has allegedly been seen by hundreds of witnesses. The lake (and therefore the monster) is named for explorer Samuel de Champlain, who is often–but erroneously–said to have been the first to report the creature. Sought after by P.T. 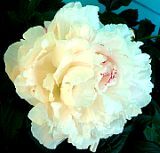 Barnum, featured on Unsolved Mysteries, and “officially” protected by both the New York State Assembly and the Vermont Legislature, Champ remains a modern mystery. A depressed man tried to end it all by getting run over by a train in Italy – but lay down on the wrong set of tracks. Martin Rapos, 31, settled onto the rails at Deiva Marina waiting for the express train to Genoa to hit him at more than 100mph. Instead he watched it tear past him at high speed on another set of tracks beside him. The enginee of the train called police and the man is being treated for depression. Of all the gardens in all the world, the thief had the bad luck to break into the one where Cromwell was peacefully gnawing on his bone. 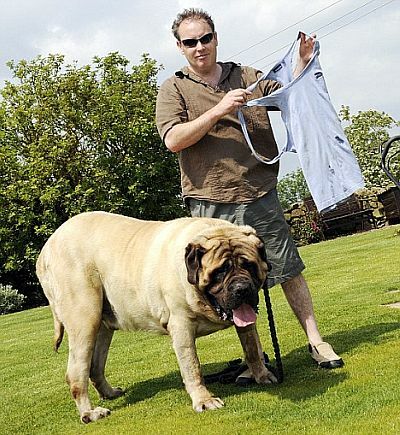 The three-year-old English mastiff is a gentle pet. But his breed are also born guard dogs – and big ones at that. Only the thief and Cromwell know exactly what happened next. But it can’t have been friendly, as the dog’s owner heard a ‘scream, a roar and a commotion’ from the back garden. George Watson, 43, had been having a bath and ran outside in his towel, to see the thief zooming off down the driveway in his van. Apart from a very agitated dog, the only evidence the man left behind was the torn Tshirt. Could this be related to a higher incidence of diabetes? Hey, dummy. This lane is too narrow for your truck! [UK] Government ministers have been discussing the possibility of putting up the warning signs after worries that drivers have become too reliant on sat nav, at the expense of common sense. The number of incidents attributed to sat navs has doubled in a decade to 2,000 last year. June 9, 2008 Posted by oldstersview | Dumb drivers	| lorry, sat nav | Comments Off on Hey, dummy. This lane is too narrow for your truck!